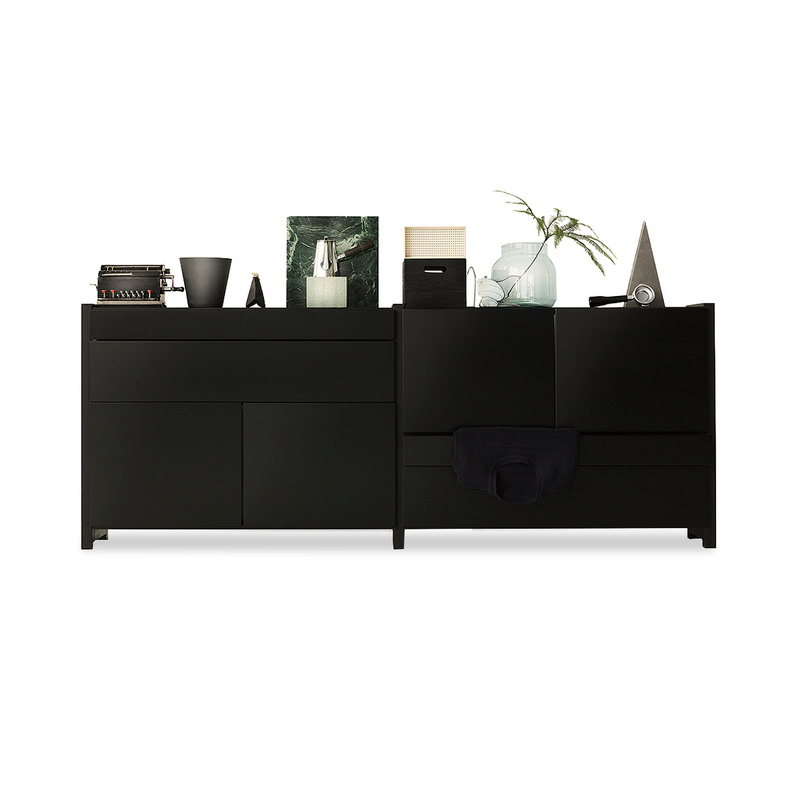 This Classic sideboard consists of two parts that mirror each other. 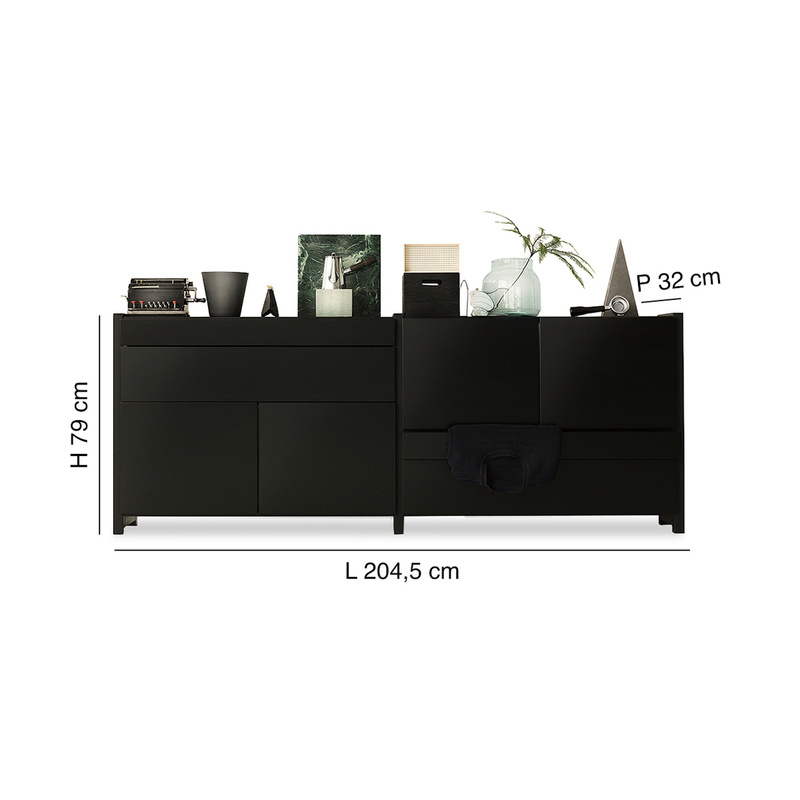 Classic is made of black lacquered mdf and has drawers 20 cm high and others 10 cm high, all openable with Tipmatic system. 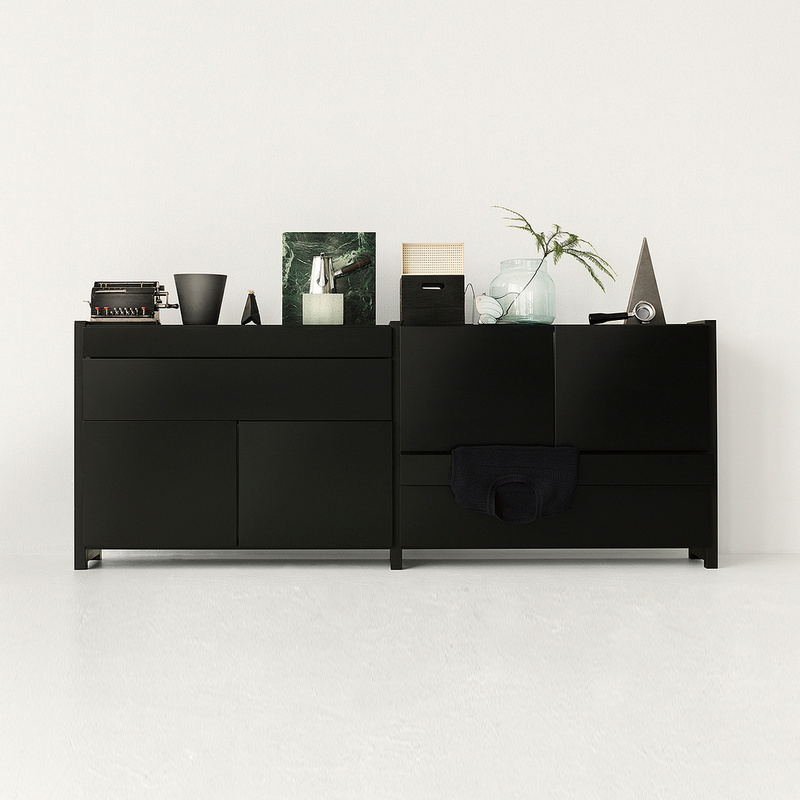 Tipmatic opens the doors of the sideboard without handles in an elegant and comfortable way, thanks to a simple and light pressure of the drawer. There are shelves inside the larger drawers. We recommend cleaning the structure with a soft cloth moistened with water. All Lundia products are modular. This is the idea behind Lundia furniture: it is always possible to extend them, adapt them and improve them according to needs; the holes on the structure are meant to give the possibility of extending the cabinet both in width and in length.